Every year when the entertainment industry awards season rolls around, young viewers everywhere become enraptured with the idea of becoming a great film director or a Grammy award-winning musician or music producer. The great dreams these award shows ignite are nothing to be scoffed at, as many a great career has been launched through the passion and drive these shows spur on. How Do You Win A Grammy? 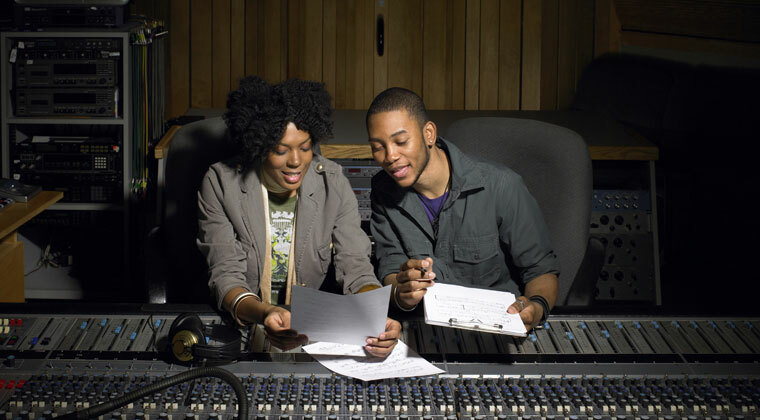 For young people who really have the drive and ambition to pursue a career in the music industry, quality recording engineer classes are a must. The good news is that today there are many great classes available that can take an aspiring recording engineer from the start to the finish line, as far as learning how to really produce a great recording goes. There are obviously many elements involved in producing a great recording and many different approaches to take, depending on the kind of artist performing and the kind of sound they are looking for. Today’s modern technology allows engineers to capture many takes of different parts of a singer’s performance, which leads to more and more choices about what to ultimately put in the final product. Some singers will want to just use one raw live take of a song, while others will want to have an engineer go back through the song and assemble it from the best takes of each phrase. Each approach is valid, although one concern is that some engineers might enhance a performance to such an extent that the singer can never recapture the sound in a live show. All of these concerns are artistic questions that should be discussed when the performer and sound engineer/producer team up to create a great recording. There’s no doubt about it, learning to enhance a performance in an engineering studio is a teaching tool like no other. The truth is, with the passion and the skill learned in classes and in a real studio session, an aspiring recording engineer may yet go on to win that hard-earned Grammy.… Read More..